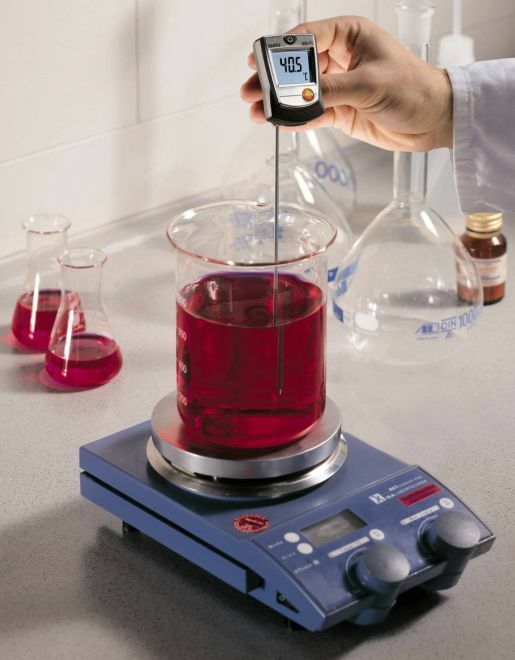 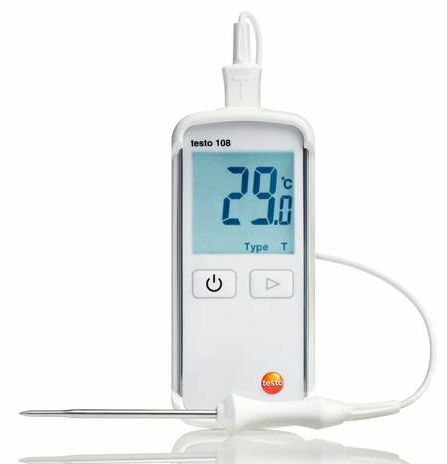 The testo 905-T1 penetration thermometer enables reliable temperature measurements in liquids, soft or powdery substances and in the air with a large measuring range and its short response time that make it stand out. 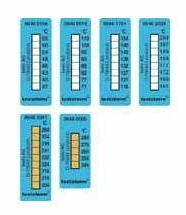 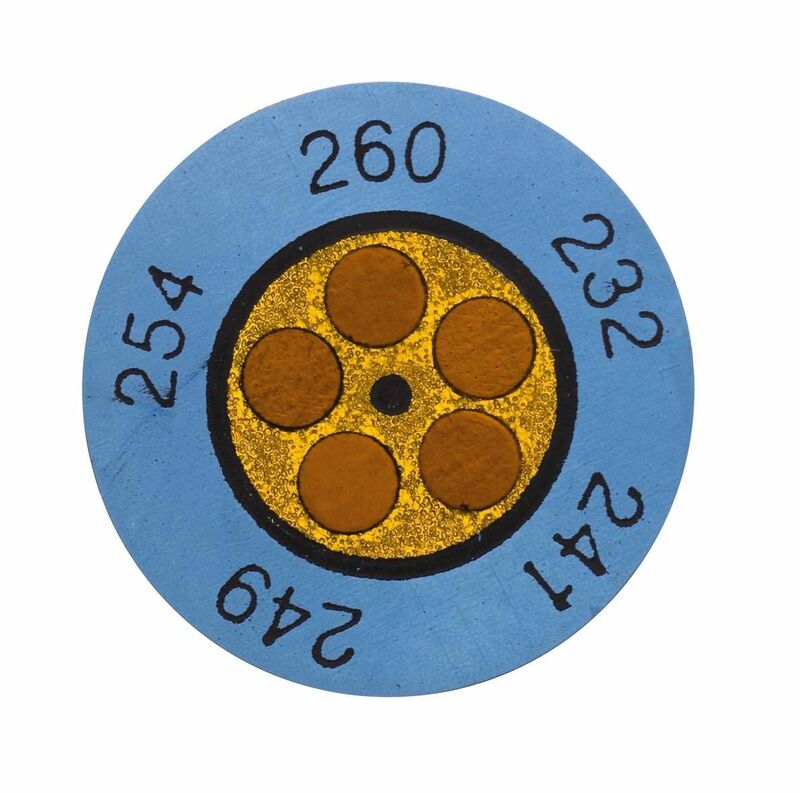 Both advantages are due to the high-quality type K thermocouple probe. 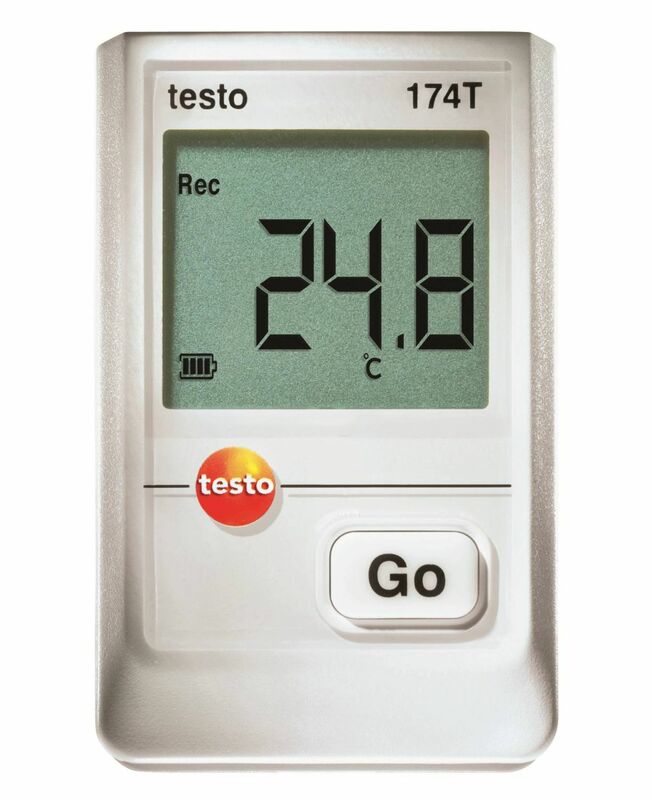 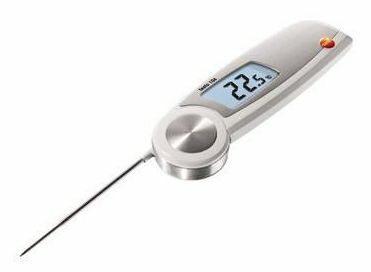 The testo 905-T1 penetration thermometer has a large measuring range from -50 to +350 °C and can even measure up to +500 °C for a short time (1 to 2 minutes). 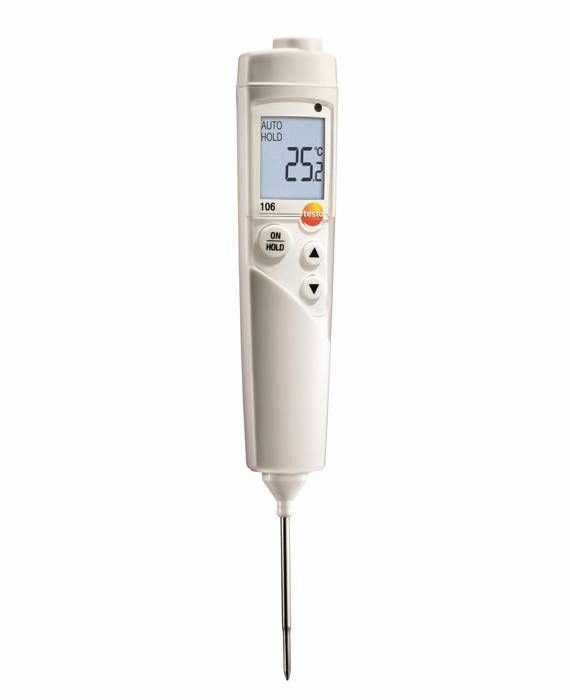 Its permanently integrated type K thermocouple probe makes this possible. 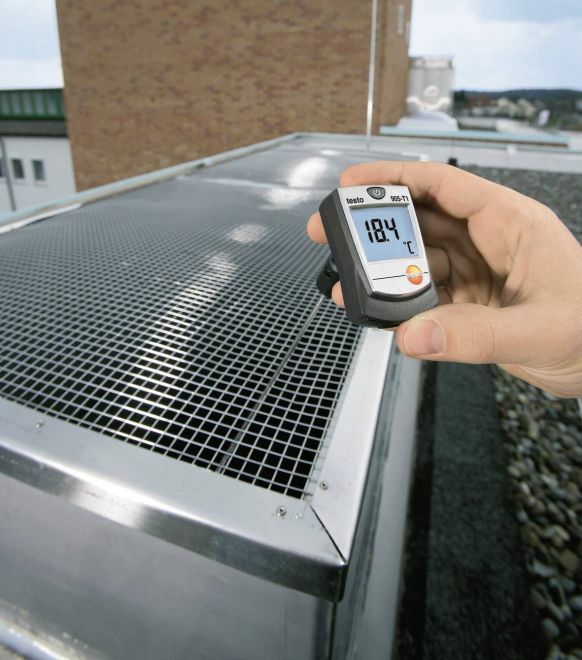 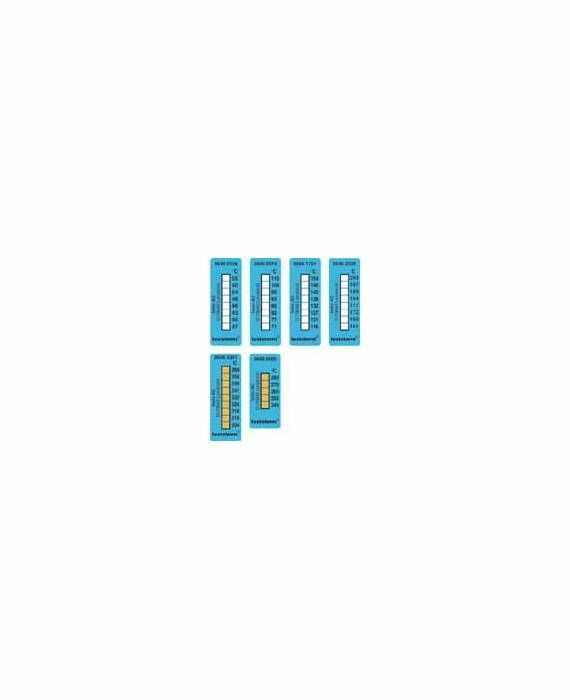 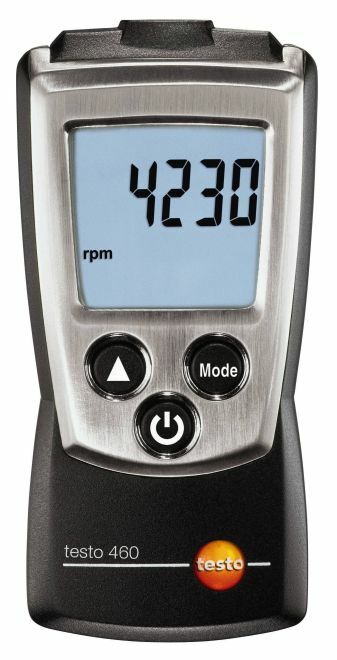 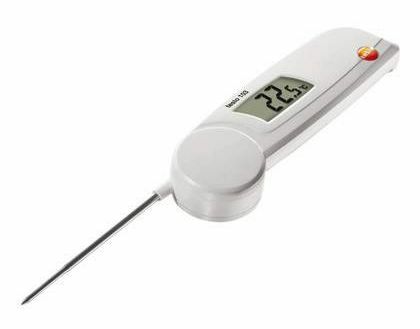 In addition, the temperature instrument is characterized by its short response time. 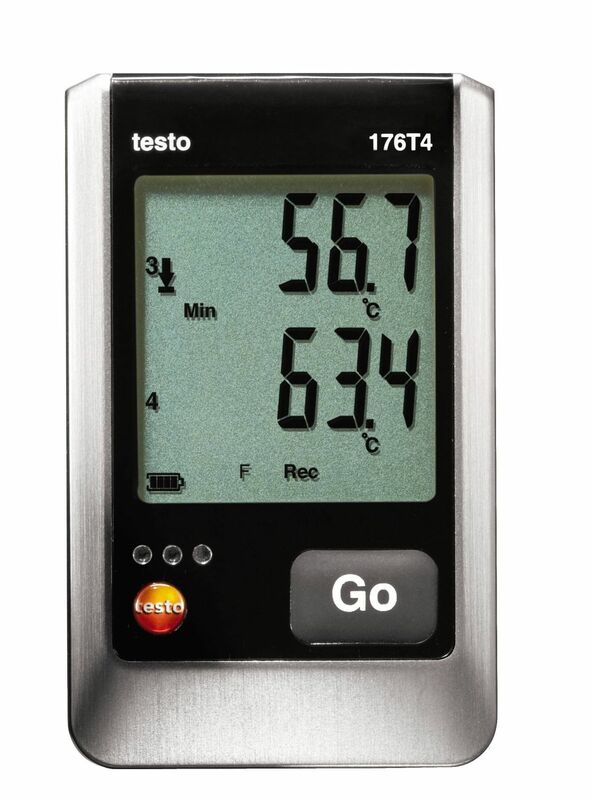 The thermocouple probe reacts very quickly, particularly in water (or other liquids). 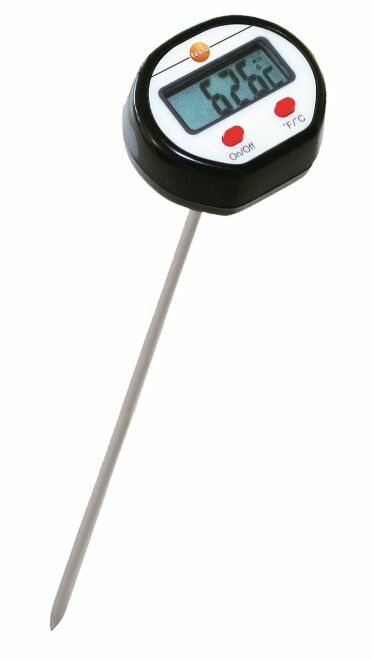 The penetration thermometer is therefore ideally suited for measurements in fluid substances in laboratory, chemical and pharmaceutical areas. 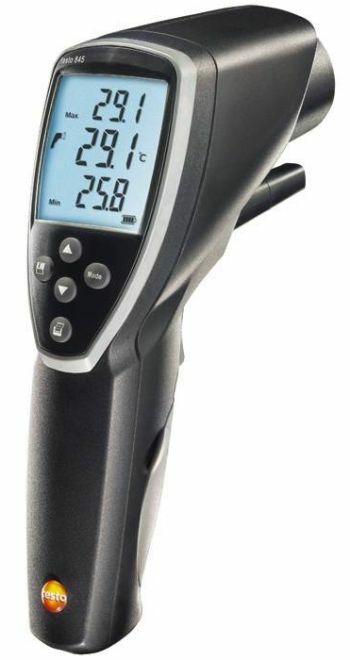 However, as well as immersion/penetration of the long, pointed probe shaft in liquids and soft or powdery substances being possible, you can also insert it in ventilation ducts to measure the temperature there. 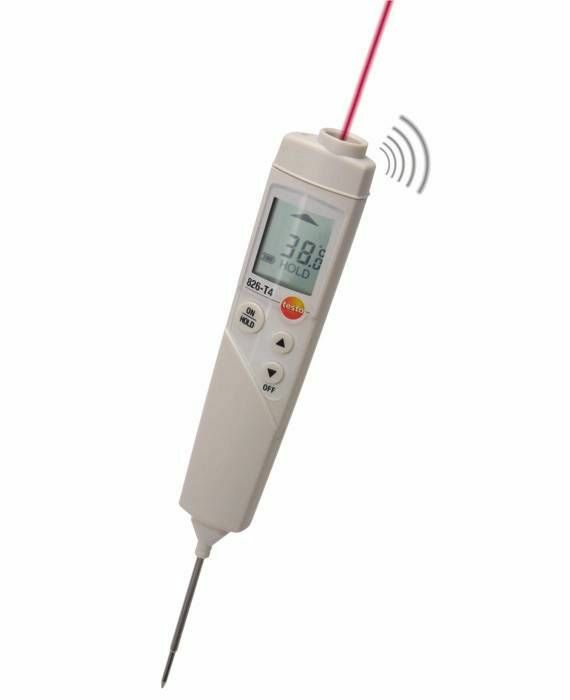 The penetration thermometer is also a winner when it comes to accuracy, because it achieves a higher level than typical comparable models. 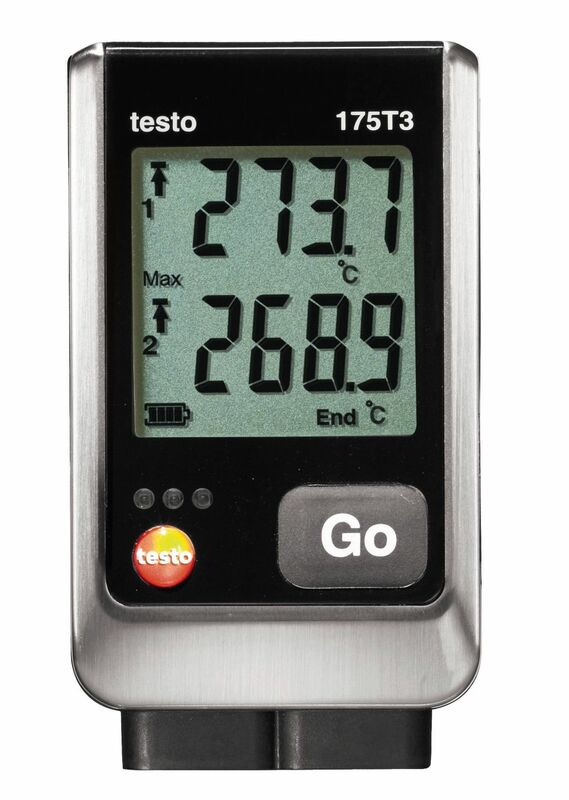 The testo 905-T1 penetration thermometer is easy to use and very user-friendly. 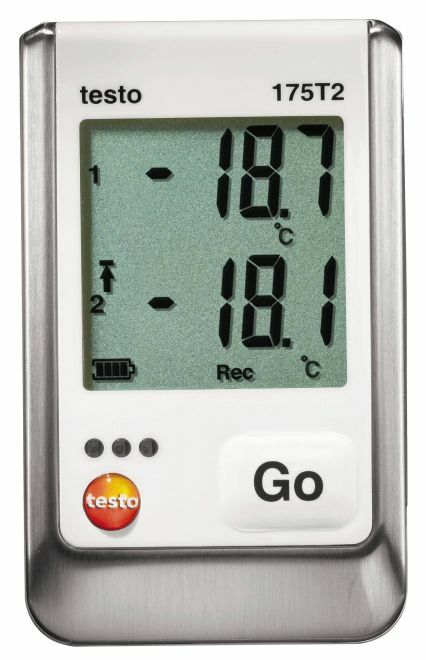 The measuring values are shown very legibly on the display. 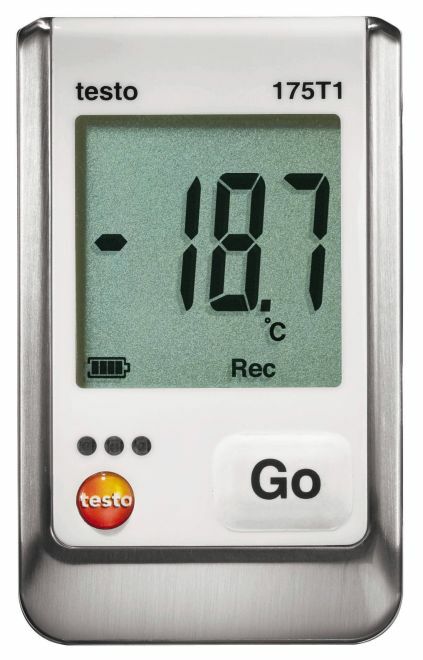 The fact that the display can be pivoted also makes reading easier. 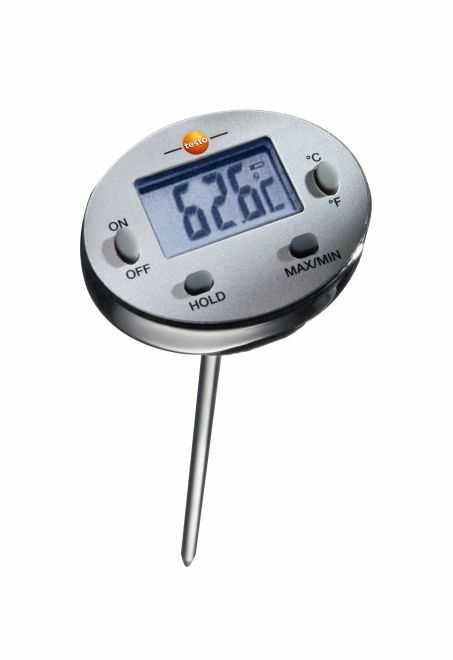 This is particularly practical, since the measuring values can be read off perfectly from many different perspectives. 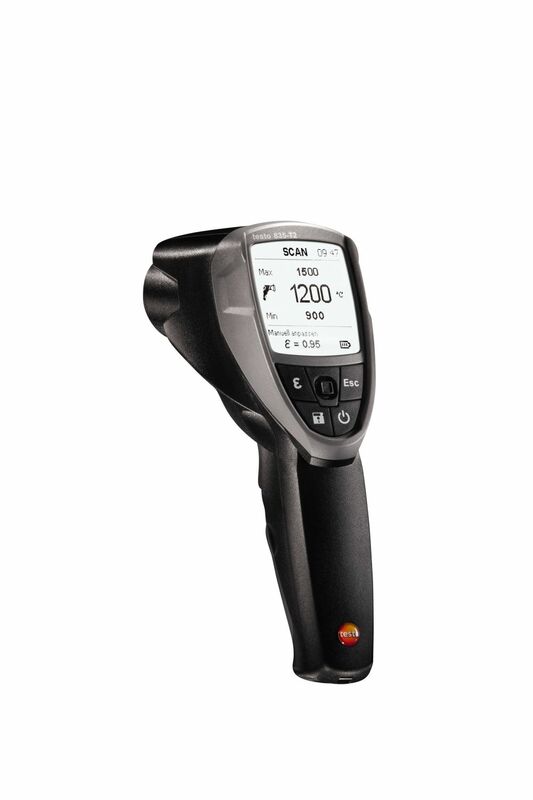 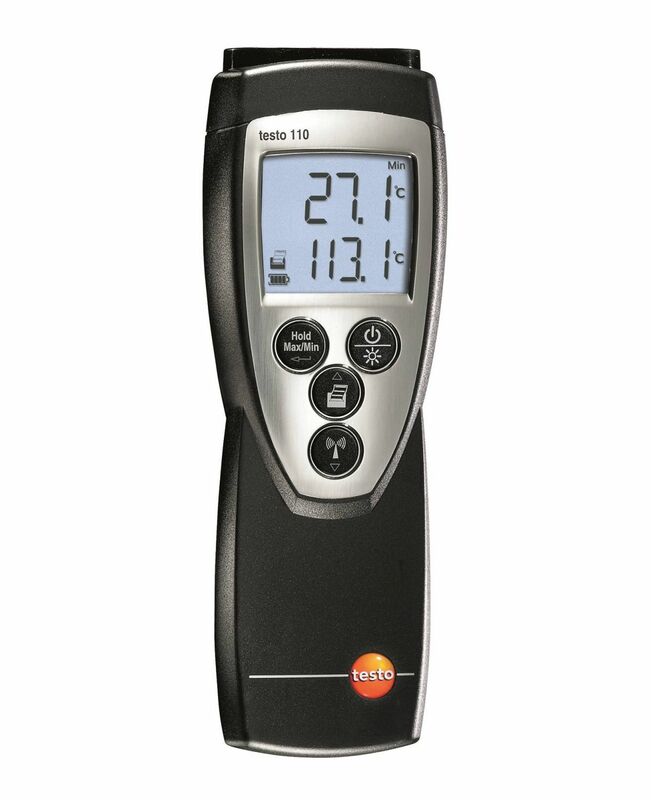 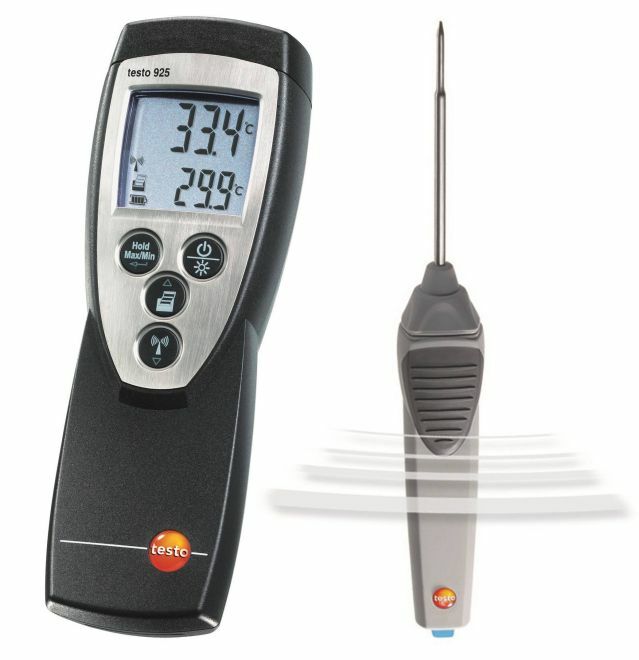 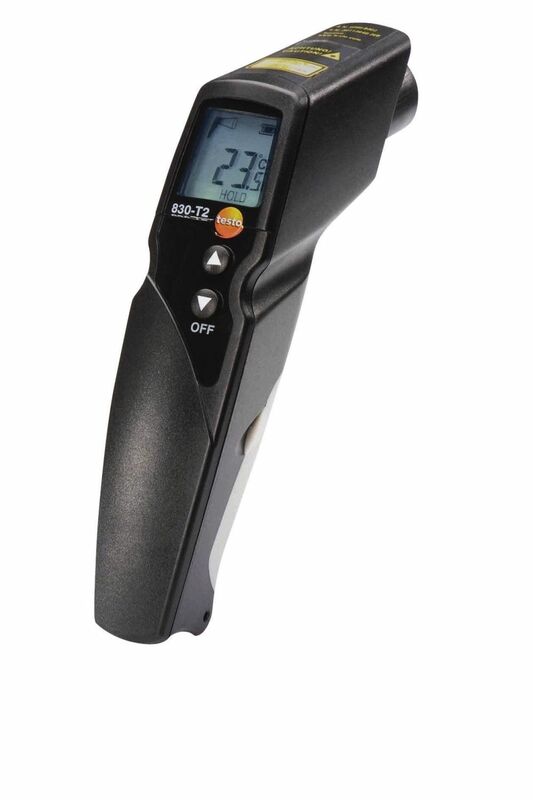 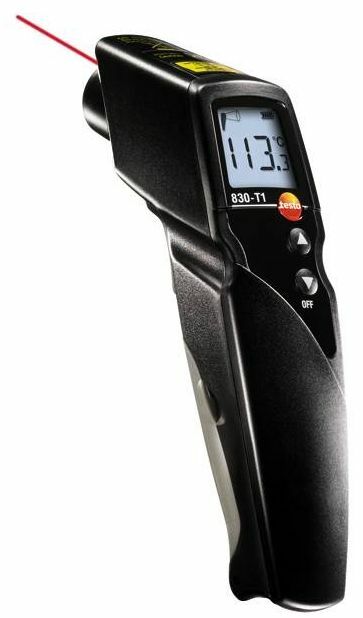 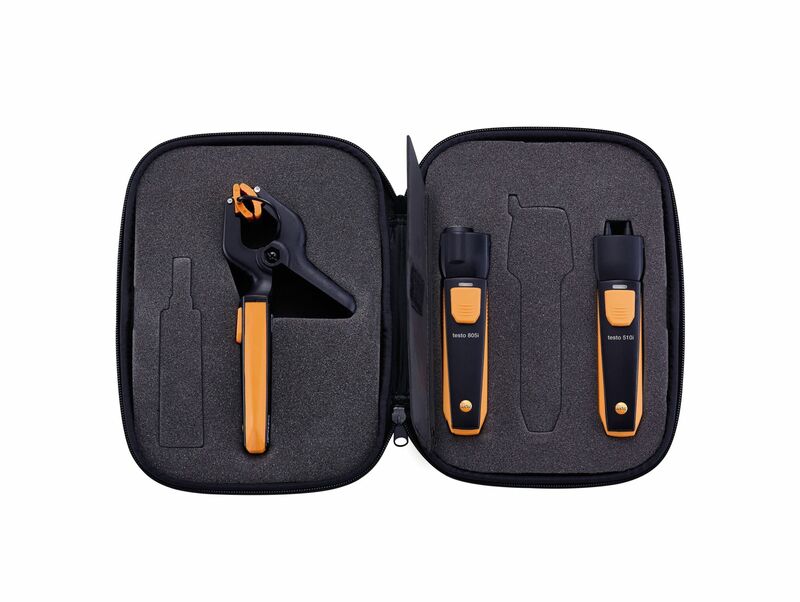 Testo 905-T1 temperature instrument with large measuring range, including attachment clip and batteries.